The Defense Media Activity (DMA), a division in the Department of Defense, runs programs related to public relations and information dissemination. It creates press releases through a news service and sets policy for internal publications, visual information, and audiovisual programs. The DMA also produces media aimed at service members and their families, and facilitates the publication of a daily newspaper, Stars and Stripes, for service members. The agency was established in October 2008 as a result of the Defense Base Realignment and Closure Act. It consolidates the Soldiers Media Center, Naval Media Center, Marine Corps News, Air Force News Service, and American Forces Information Service (AFIS) into a single operation under its moniker. The Armed Forces Radio Service was established on May 26, 1942, by order of the Department of Defense, after several small military radio stations proved popular with troops. At first, the service produced its own programming in addition to rerunning shows that appeared on commercial networks. The service started relying completely on commercial networks by 1950. After a practice run at an Air Force base in Maine, the military added television signals to its broadcast, becoming the Armed Forces Radio and Television Service in 1954. The assistant secretary of defense for public relations assumed responsibility for military broadcasting when the AFIS was created in 1977. The 2005 Defense Base Closure and Realignment Commission (BRAC) recommendations required the Department of Defense to take over AFIS and consolidate the Army Broadcasting Service, Soldiers Radio/TV, Soldiers Magazine (Soldiers Media Center), the Naval Media Center, the Air Force News Agency, and the Army/Air Force Hometown News Service into the new Defense Media Activity (DMA) located at Ft. Meade, Maryland. The Defense Media Activity (DMA) is broken into the following divisions. The American Forces Radio and Television Service provides programming for about 1 million service members, Department of Defense employees and contractors, and their families under the American Forces Network (AFN) brand name. The AFN distributes nine television channels through the Defense Media Center in Riverside County, California; a tenth, the Pentagon Channel (see below), is produced separately by the Department of Defense Office of Public Affairs in Virginia, but is also distributed over the AFN network. Broadcasts typically include popular music, entertainment programming supplied free of charge by commercial networks, sports and news—“a touch of home” for those who are serving abroad, as the agency puts it. There are no commercials, with so-called “command information spots” containing public-service announcements taking their place. The Radio and Television Production Office approves spot announcements for broadcast on AFRTS networks. The Pentagon Channel News Center produces a 30-minute news show and hourly updates for service members 24 hours a day. It has its own channel that’s bundled with AFN. Stars and Stripes is a newspaper published for the military, Department of Defense employees, affiliated contractors and their families. The newspaper has a readership of about 420,000, with four editions serving different world regions published each day. It also publishes an online edition, Stripes.com, several weekly and monthly publications, and numerous special supplements. By statute, the paper is editorially independent—with some limitations. For example, Stars and Stripes is prohibited from printing classified information that hasn’t been divulged in the commercial media first. Soldiers is the official U.S. Army magazine. All Hands is the official U.S. Navy magazine. Airman is the official U.S. Air Force magazine. HometownLink is the site of the Joint Hometown News Service (JHNS), a directorate of the DMA’s production component. The DMA manages Defense.gov, the Department of Defense Web portal. The DMA oversees Department of Defense press releases. The Defense Visual Information Directorate provides access to visual information relating to the U.S. military, including films, still photographs, and other multimedia records. It’s located at March Air Reserve Base in Riverside County, California. The JVISDA catalogs and provides access to multimedia training materials for the armed services. The DMA provides training through DINFOS, the Department of Defense school for public relations, journalism, broadcasting, and related fields. The DINFOS is located at Maryland’s Fort George G. Meade. Defend America recycles press releases and stories published by the American Forces News Service, arranging them in a way that’s reminiscent of news sites. The Defense Department is no longer maintaining this Web page, opting instead to publish releases on its Defense.gov Web site. The Defense Media Activity (DMA) has spent more than $7.5 million on 24 contractor transactions since the agency’s founding in FY 2008, according to USASpending.gov. The top five products or services paid for were engineering and technical services ($6,776,185), physical science research and development ($500,000), natural resource management and conservation ($124,860), architects and engineers ($65,780), and maintenance/repair of ADP equipment and supplies ($22,342). Some argue that some Defense Media Activity (DMA), and previously AFIS, news products, including The Pentagon Channel, border on propaganda. Many have protested the fact that conservative commentator Rush Limbaugh’s show is broadcast on the American Forces Radio network without being balanced by a comparable left-wing program. Allison Barber, who served as director of the AFIS (see her biography below for more information), was criticized by some for her approach to public relations. A 2005 teleconference between President George W. Bush and troops serving in Iraq came under fire for the perceived extent to which it was rehearsed. “America Supports You” also came under fire for its affiliation with an “evangelical entertainment troupe” called Operation Straight Up. The lack of consistent AFIS leadership harmed morale and contributed to “improper internal controls,” according to a memo written by the Defense Department inspector general. 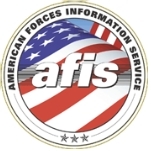 The AFIS will be merged with the Defense Media Activity division on Oct. 1, 2008, in an attempt to consolidate Defense Department public relations efforts. The Defense Department inspector general has also called for a permanent AFIS director to be named in order to boost morale, provide continuity and prevent the department’s public relations arm from having undue influence on the AFIS. Captured al Qaida Documents Detail Shift in Support, an example of an American Forces Press Service story that has been reproduced as news on a conservative Web page. J. Dorrance Smith, who was Allison Barber’s former boss, has also stoked controversy. He has a reputation in some circles for being a Republican loyalist, particularly when it came to the administration of George W. Bush. Bush first instated Smith in his post through a recess appointment on January 4, 2006; Smith’s original nomination had been stalled since September 2005 over an opinion piece he had written for The Wall Street Journal. In the piece, he criticized major U.S. television networks and the Qatari government for cooperating with the Al Jazeera network in showing graphic battlefield footage. Without Senate approval, Smith’s appointment would have ended in January 2007. The nomination was confirmed by the Senate anyway on April 7, 2006. Smith replaced Victoria Clarke, who had vacated the position in June 2003. He left the position in October 2007. I would be interested in the details of Frank Hawkridge. I own the SCN website formerly CFN & PCAN of the Panama Canal Zone. Please visit our website www.scncz.com I think it is about time we set the history correct. Your father & Clay Doster not only created what became SCN Radio &TV; they also created the entire AFRS & subsequent networks which grew from it. I literally just found all of the newspaper articles from 1941 & 1942 with the amazing story which prove history has been "revised" to ignore the founders & their founding stations PCAN & PCAC whose letter to NBC started a firestorm response. NBC not AFRS adopted PCAN & began broadcasting to over 20 troop sites at NBC sponsor expense long before AFRS existed and yet have taken unearned credit. AFRS only showed up over a year & a half later to send staff to assume control of the PCAN & PCAC stations which Doster & Hawkridge built on their own without help except by NBC (after PCAN & PCAC were established & Doster sent a letter to NBC requesting old recordings for the troops). Please contact us on our website & I'll be happy to include his information & the recognition they deserve. I am currently revising the info at this time. I think corrections need to be made on all records to ensure their proper historical recognition. In February 2013, Ray B. Shepherd, a former Air Force public affairs officer, was named Director of Defense Media Activity, which handles public relations for the Armed Forces and supervises publications directed at the military community, such as Stars and Stripes. Shepherd is the son of a member of the Air Force and graduated from Madrid American High School in Spain in 1970. He attended Texas A&M University, working as a sportscaster for a local station to pick up extra money. He earned a degree in journalism in 1974 and was commissioned as an Air Force officer that year. He subsequently earned an M.S. in management from Troy State University and an M.A. in communications from the University of Oklahoma. Shepherd remained in the Air Force more than 29 years, working in public affairs. Among the events he had to deal with in that capacity was the 1996 plane crash that killed Secretary of Commerce Ron Brown and 34 others in Croatia. Shepherd also had stints as commander of the Armed Forces Radio and Television Service Broadcast Center, chief spokesman for the U.S. European Command and as the public affairs director for the U.S. Central Command, which controls all American forces in the Middle East and South Asia. Shepherd’s first job upon leaving the Air Force was in 2003 as Senior Vice President for Public Affairs and Security for Cendant Corp., specifically in their Resort Condominium International timeshare exchange division. Beginning in 2006, Shepherd bounced around a bit, working as a senior consultant for Definitive Business Solutions, then in 2007 as a director of brand marketing and communications for CIT in the company’s vendor finance group. In 2008, Shepherd was named chief executive officer of the American Red Cross of Northern New Jersey. He took over the group during a down time for the organization and had to cut staff in order to balance its budget. He did help lead the response to the 2009 ditching of a US Airways flight into the Hudson River. Shepherd left the Red Cross in 2011, becoming a partner in the Warwick Consulting Group, where he worked until coming to Defense Media Activity. One of the most controversial issues since Shepherd has been at Defense Media Activity is the consideration of cuts to Stars & Stripes, the editorially independent newspaper (and now website) aimed at the Armed Forces, due to sequestration. So far, the newspaper is hanging in there. Upon the retirement of Melvin W. Russell, who served as acting director of the Defense Media Activity (DMA) from October 2009 until April 30, 2012, Principal Deputy Assistant Secretary of Defense for Public Affairs Bryan G. Whitman was appointed acting director of DMA. Formerly known as the American Forces Information Service, DMA is the communications media propaganda arm of the Department of Defense, employing 2,400 active duty military, civilian, and contract personnel at 8 U.S. locations and 33 permanent overseas sites. It is headquartered at Ft. Meade, Maryland. The fact that Whitman would find himself in charge of spreading military propaganda during the presidential administration of Barack Obama says a lot about the workings of the Department of Defense, considering that during the administration of President George W. Bush, Whitman repeatedly defended the worst illegal and immoral policy excesses of his boss, Secretary of Defense Donald Rumsfeld, including policies which candidate Obama criticized. Born circa 1958, Bryan George Whitman earned a B.S. in Photography at the Rochester Institute of Technology and a Master’s Degree in Communications from the University of Oklahoma. As a U.S. Army Special Forces officer, Whitman commanded five different combat units, with his last combat tour in 1994 as the commander of all Special Forces operations in Somalia during the final withdrawal of United Nations Forces. Whitman also had public affairs assignments, including postings in the Office of the Chairman, Joint Chiefs of Staff and the Office of the Secretary of Defense. Whitman was the director of Government and Public Affairs for the United Service Organization (USO) World Headquarters in Washington, where he was responsible for legislation and communications. From 1995 to 1997, he was a public affairs specialist in the Office of the Assistant Secretary of Defense for Public Affairs, where, during the height of the Gulf War Illnesses controversy, he headed up a public affairs team to address the concerns of veterans. From August 1997 to May 2002, Whitman served in the Pentagon Press Office as the deputy director for Press Operations. From May 2002 to May 2010, Whitman served as the deputy assistant secretary of defense for Media Operations and also served as a senior spokesman for the Defense Department and its secretary, Donald Rumsfeld. Numerous unpleasant tasks fell to Whitman, such as acknowledging and defending the torture and abuse of Iraqi prisoners by U.S. forces at Abu Ghraib and Afghan prisoners at Bagram; the hiding of prisoners from the Red Cross; the practice of military interrogators deceiving prisoners into thinking they were from the FBI; and the hiring of retired military officers to defend Bush-Rumsfeld policies on television without revealing they were paid to do so. On May 23, 2010, Whitman was appointed principal deputy assistant secretary of defense for Public Affairs, responsible for the release of national security and defense information to the public.